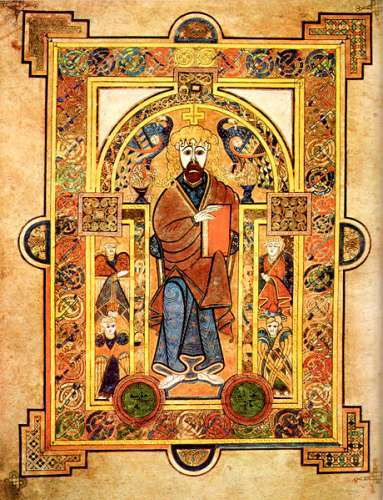 Written around the year 800 AD by Columban monks, this highly decorative vellum (prepared calfskin) copy of the four gospels in a Latin text is regarded as the finest surviving example of Irish Celtic art. Richly illustrated with many-hued letters and pictorials incorporating animals, humans and Biblical scenes, this exquisite manuscript reveals a seemingly inexhaustible wealth of supremely detailed ornamentation upon each close inspection. 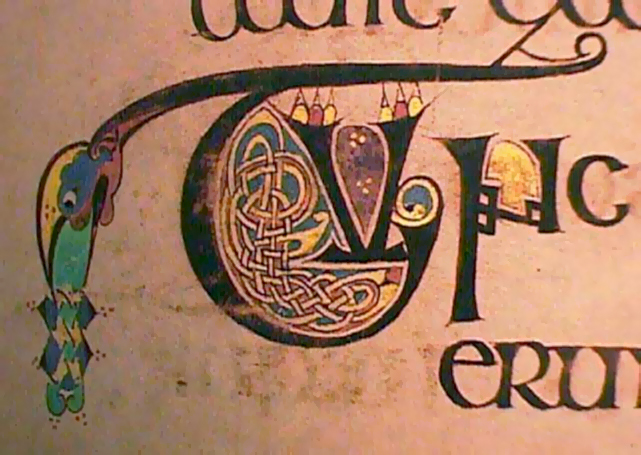 The Book's name comes from the Abbey of Kells in Kells, County Meath, where it was reputed to have been (at least partly) written, though its exact origins remain unclear. 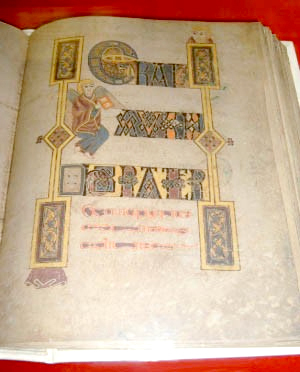 The Book remained there until the 1650s when it was moved to Dublin for safekeeping and was presented to Trinity College Dublin's (TCD) Library in 1661. Over the centuries it has endured damage, part-theft and various attempts at rebinding - good and bad. 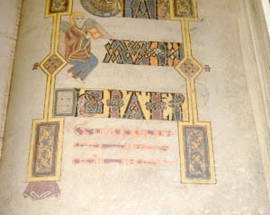 Originally a single volume, for conservation reasons it has been rebound into four volumes, two of which are normally on display showing examples of script and illustration. The volumes on display are changed at regular intervals. 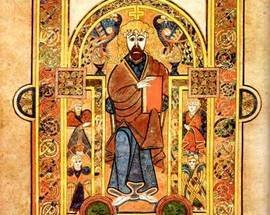 Visits are self guided, with displays telling the history of the Book of Kells and other historic manuscripts that put the Book into historical perspective, and reservations are not taken. Everyone has to queue so allow an extra half hour in the extremely busy summer months. Opening hours and access vary during public holidays. 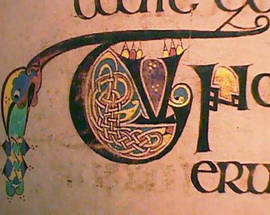 See also Trinity College Dublin and The Long Room. Adult €9, Conc. €8, 2+4 €18 , U12 Free. Back in scoohl I'm doing so much learning. Seniors and students are now classed 'Conc.' (ie concession) and cost €8 from Jan 2009. The cost for pensioner is depicted as 'Seniors' ie €7. Double check their website to confirm.